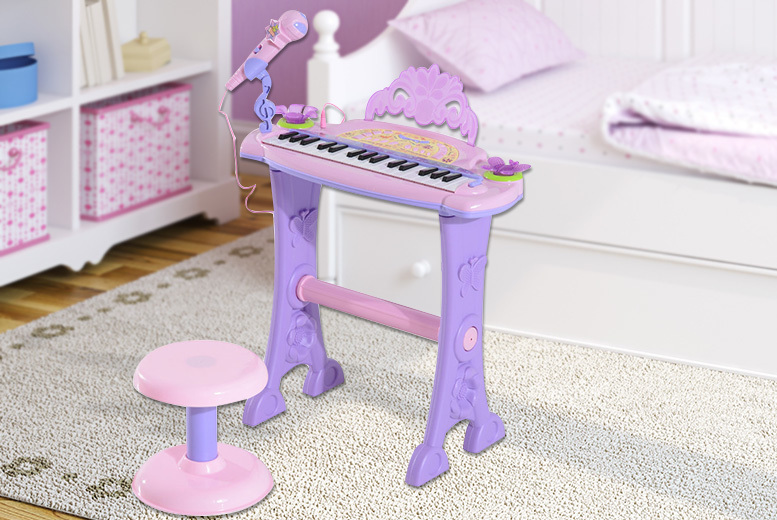 Get a Homcom mini electronic organ piano. And mini stool for the player. In a pink and purple scheme-colour. Ideal for a child to have fun in a creative and artistic way.